BlackwaterBLUE from monkster.com: The Modric Chronicles: will he, won't he? The Modric Chronicles: will he, won't he? 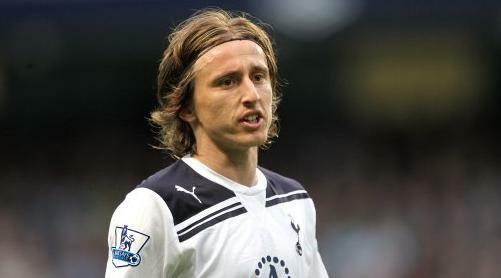 Andre Villas-Boas has indicated Chelsea will step up their bid to sign Luka Modric, after admitting he 'urgently' needs a midfielder. Despite seeing two bids fail for the Croatian earlier this summer, Chelsea are still keen to take the 25-year-old to Stamford Bridge but face a real battle to persuade Spurs to sell. Having seen his team held to a 0-0 draw at Stoke on Sunday, Andre Villa-Boas admitted he needs further new faces and it's in the middle of the park where he wants new additions. Although chairman Bruce Buck said he was "unsure" over a further bid for Modric - "Spurs rejected our offer and I don't know if it will go further. Andre didn't give us a shopping list, but he did tell us where he thought we could improve," he said - his manager has left the board in no doubt as to where the team needs strengthening. Villas-Boas said: "The sense of urgency in midfield is there. We play 4-3-3, we have a squad of 25. For you to prepare for a game, you need at least six midfielders. We only have four."